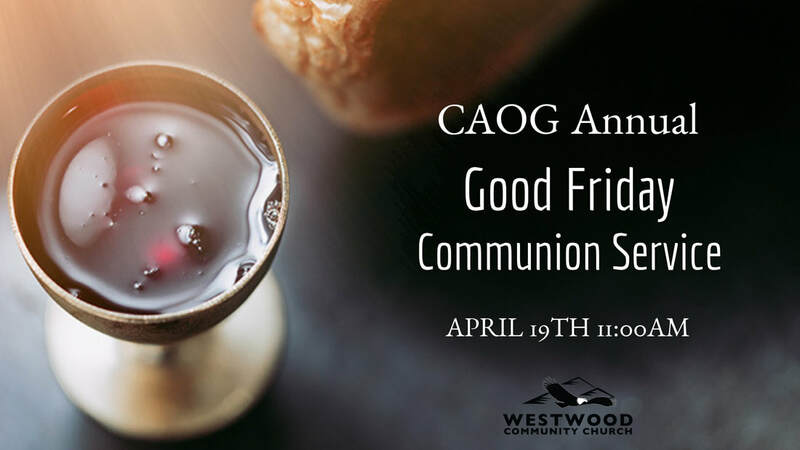 ​There will be the annual CAOG Communion Service on the Good Friday, April 19th. 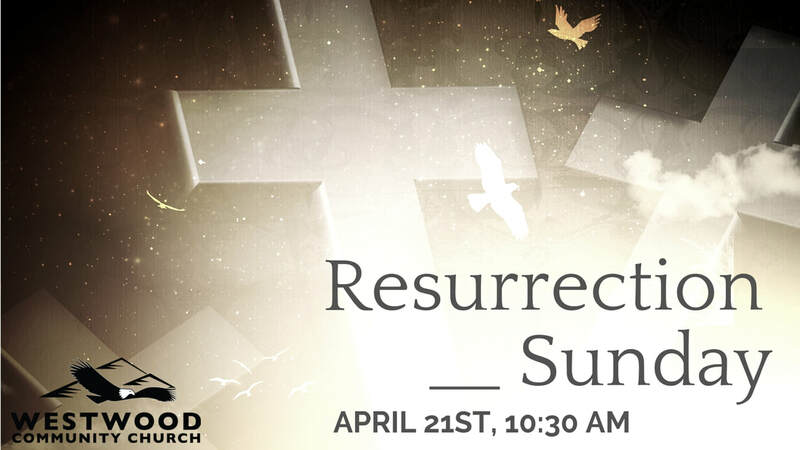 Come join us at 11:00am. 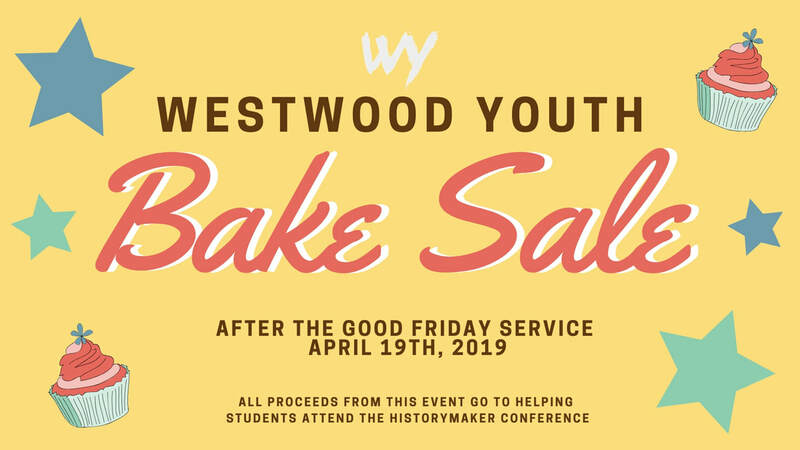 ​Westwood Youth will be having a bake sale after the Good Friday service (April 19th). All proceeds from this event go to helping students attend the Historymaker Conference. If you have any questions, please contact Pastor Adam or Meredith. ​Come join us for a very special service with a special guest & a play by our Children's Ministry! 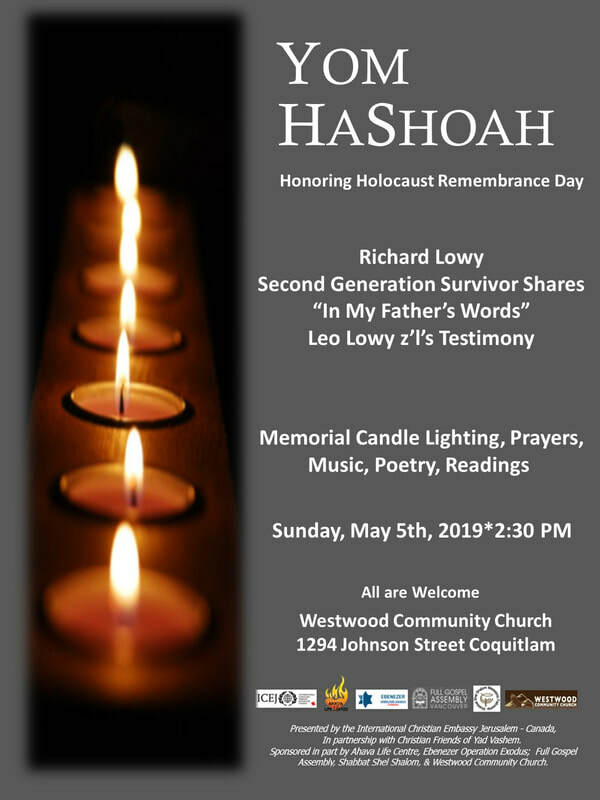 ​Richard Lowy, a second-generation survivor will share his testimony & there will be Memorial Candle Lighting, Prayers, Music, Poetry & Readings. 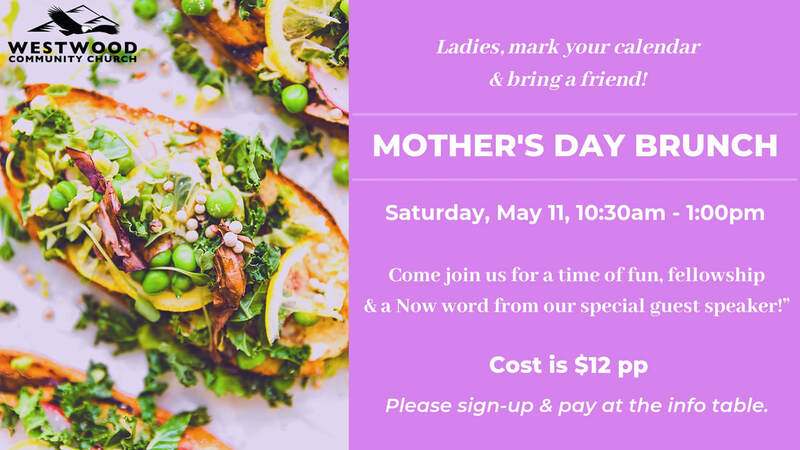 ​Ladies, mark your calendar & bring a friend! Come join us for a time of fun, fellowship & a special word from our speaker! Cost is $12 pp, please sign-up & pay at the info table.